You can learn English from Hindi in just 10 minutes a day with the help of our interactive lessons. For both beginners and the ones looking to improve your English, Multibhashi is the best app to learn English online. 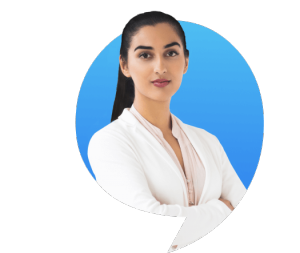 Devote just 10 minutes every day on our Android or web app and you will see considerable improvement in your reading, writing, listening and speaking skills within a period of 2 weeks. Hindi is the mother tongue of millions of people in India, where many people feel comfortable to learn English from Hindi. Research shows that more than 42 crore people in India have listed Hindi as their mother tongue, according to Times of India. This means more than 41% of the whole population in India have declared Hindi or its sub grouping language as their mother tongue. It is much easy to learn a new language through the one which we are familiar with. Thus to improve your English learning and provide the best learning experience, we have the right courses for you. We provide you with options to learn English from Hindi using our Multibhashi app. You can perfect your English conversation skills using the app. The importance of learning English is globally recognized. In more than 90 countries all around the globe, English is the only language which is considered as the official or second language. English is the medium of instruction in many educational institutions. When it comes to career, learning English is very essential. English plays a vital role even in finding jobs. Globalization has reached every aspect of life. It is almost impossible to be connected if you lack the knowledge of a global language like English. 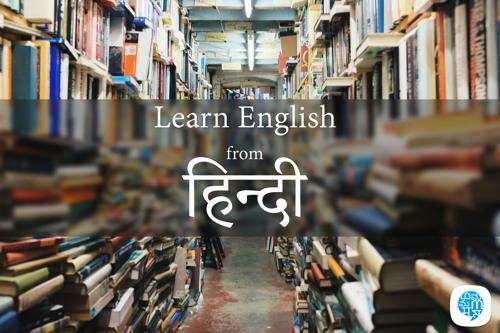 The easiest way for a Hindi speaking person to get acquainted with English is to learn English from Hindi. You can use Multibhashi to learn English easily from Hindi with just a little effort and concentration. We have a collection of the most commonly used English word meanings in Hindi where you can see their meanings, vocabulary, definition, pronunciation, synonyms, and antonyms.You will directly be taken to a page where we have different audio and visual cues to help you internalise the meaning of that word. With time, you will find more words added to our collection of word meanings. This course will help you understand, learn and use English sentences in your daily life. Here, using these resources and Hindi, you can mug up these sentences and can easily practice English. Try to speak English along with Hindi first, then gradually increase speaking English more frequently than Hindi. After this, try to stop speaking Hindi fully and start speaking English once you are confident. In between, you should note down the words for which you are not able to find the right English word and then try translating those words. You can refer to the grammar page and learn every base rule easily and frame sentences following those rules.